It’s important to recognize, however, that other insects and animals contribute to pollination, the important process of collecting and distributing pollen to help plants reproduce and bear food. Research conducted in recent years suggests that the combined activity of non-bee pollinators—such as flies, bats and butterflies—can be just as valuable to pollination as bees. A black-and-yellow-striped insect hovering above a flower is not always a bee. Some flies—such as flower flies, or hoverflies—resemble bees; for this reason, they’re called bee mimics. Several plant species—most notably, the cocoa tree—rely exclusively on fly pollination. Without flies, there would be no cocoa beans to produce the chocolate enjoyed throughout the world. It might come as a surprise that bats are responsible for pollinating hundreds of different plant species. Since bats are nocturnal, they feast on the nectar of flowers that open at night, including the flowering plants and trees that produce bananas, guavas and mangoes. Bats are also found in the desert, where they pollinate the agave plant. Butterflies aren’t physically able to carry as much pollen as bees can but their quick and graceful movements help them cover a larger land area, drinking nectar with their long tongues and pollinating plants along the way. Providing food and forage is one of the best ways to keep pollinators productive and healthy and the agriculture industry is helping. For example, with Operation Pollinator, global agriculture company Syngenta partners with commercial farms, golf courses and conservation organizations to establish large swaths of wildflower plots for pollinators. 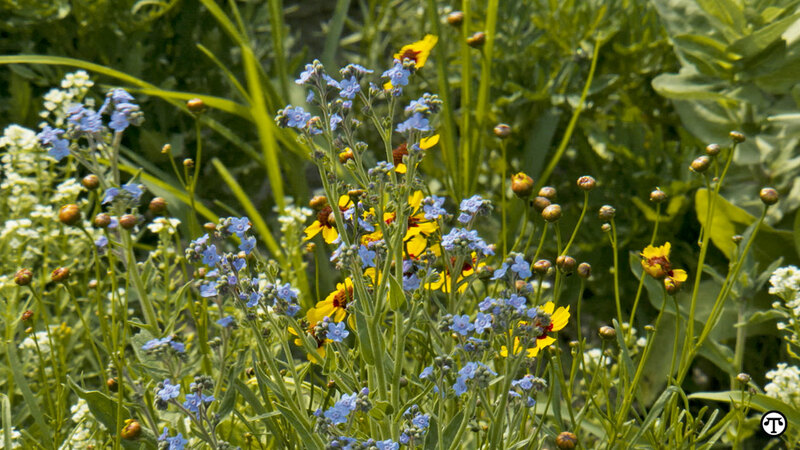 For home gardeners, establishing pollinator plots can be as easy as incorporating native flowers within your yard or garden plantings. Selecting a mixture of plants that will attract pollinators during the growing seasons helps provide a food source for pollinators that are active at various times throughout the year. Choosing flowers that vary in color, size and shape also helps attract a diverse variety of pollinators. For further information on pollinators, visit www.beehealth.org. You can “bee” a big help to pollinators of all kinds when you plant lots of colorful flowers.